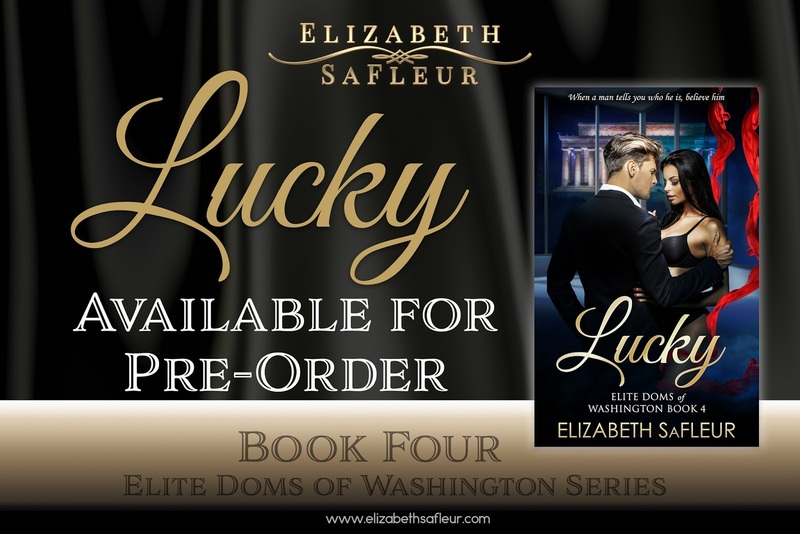 Cover Reveal of Lucky by Elizabeth SaFleur. Billionaire entertainment investor and resolute bachelor Derek Damon Wright learned at a young age women were trouble. 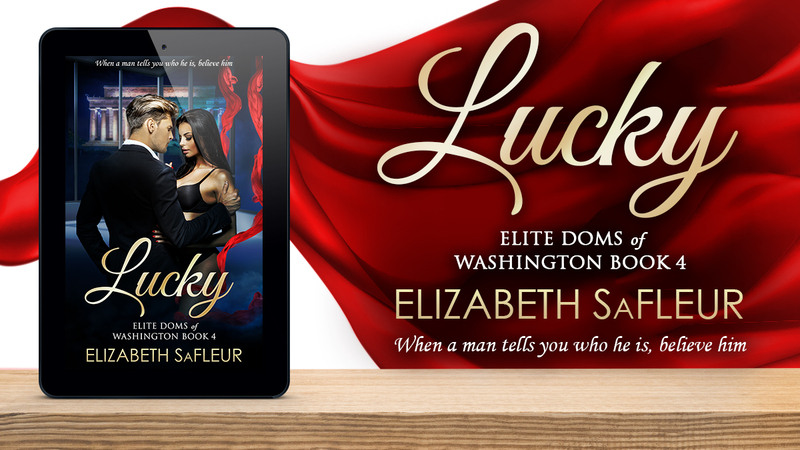 He’s unprepared for dancer Samantha Rose who walks into his thirteenth, Washington DC nightclub opening with an authenticity and passion for life that quickly rocks his jaded, albeit privileged, world. Samantha, an aerial artist and dance studio owner, hasn’t been lucky in love, and falling for the charismatic and Dominant Derek won’t draw her closer to her greatest dream of having a baby. Yet she’s helpless to resist his charm and sophisticated world of private jets, Caribbean islands and the sexual pleasures of dominance and submission. As their whirlwind romance progresses, past mistakes rise up to threaten their future. Only when they rely on each other for safe haven do they find the answer to their dreams. If you’d like to connect elsewhere, please circle me on Google+ or connect with me on Facebook, Twitter, Pinterest or Goodreads. Release Blitz blog tour for Mark of Truth by Graceley Knox.